Since its foundation in 2008, Data Assessment Solutions has been breaking new ground in the efficient use of skills and employee capacities in dynamic growth industries – especially for IT services and consulting companies. We combine many years of industry experience with in-depth expertise in machine learning and data analysis. Through the intelligent use of existing data, we achieve significant increases in efficiency and provide our customers with a reliable source for all information on employees and projects. 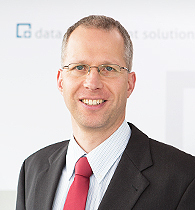 Today, around 30 employees belong to the innovative and committed team of Data Assessment Solutions GmbH, which is based in Hanover, the capital of Lower Saxony. Our aim is to offer customers measurable added value. This requires integration into processes that have a direct impact on sales or costs. Only the linking of skills with data on employee utilization, daily rates, sales opportunities and project profitability provides relevant insights. We do not only offer our customers a software solution, but also help them to identify potential for optimization and to make profitable use of existing data. Most of our employees have a mathematical-scientific background. Our corporate culture is shaped by this. We enjoy solving complex problems. Thanks to our close contact with science, we are up to date in research and development. This is also reflected in our software. We do not rely on buzzwords, but on intelligent employees who independently find the best solutions. Axel Völker received his doctorate in theoretical physics from the University in Göttingen. He began his professional career at IBM, where he worked as a consultant in international IT projects for seven years before launching his own business, initially as a freelancer. 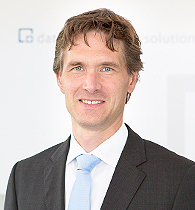 Joachim Giesen is Professor at the Institute of Computer Science at the Friedrich Schiller University Jena and co-founder of Data Assessment Solutions GmbH. After completing his doctorate in computer science at ETH Zurich, Joachim Giesen spent a year as a postdoc at Ohio State University in Columbus, OH. This was followed by positions as Senior Researcher at ETH Zurich and the Max Planck Institute for Computer Science in Saarbrücken. Since 2008 Dr. Giesen has been Professor of Theoretical Computer Science at the Friedrich Schiller University Jena. ABS Team is one of the most experienced consulting firms in the conception and implementation of SAP personnel management solutions (SAP HCM). Founded in 1985, ABS Team has accompanied the development of SAP HCM modules from the very beginning and thus has gained a wealth of experience unequaled by any other company in this field. ABS Team GmbH is our strategic partner for all interfaces to SAP. This collaboration enables us to offer our customers integrated solutions covering all areas of human resource management. Implement your vision – that is the motto of ICodeFactory. As a development partner, ICodeFactory supports us in programming our software solutions based on Microsoft.net technology. An experienced team of Microsoft-certified trainers and developers guarantees the highest quality.